terms. He had also served as an Executive Member of the Astronomical Society of India (ASI). He is a member of the International Astronomical Union (IAU). Shantanu Rastogi is currently working as a Professor in the Department of Physics, Deen Dayal Upadhyay University, Gorakhpur. He did his M.Sc. in 1988 from Indian Institute of Technology, Kanpur. 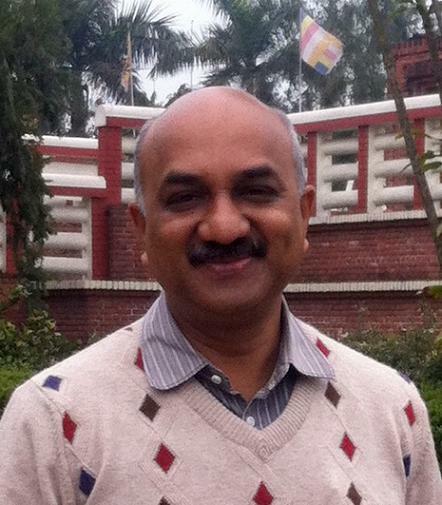 He did his Ph.D. from Lucknow University in 1993 and joined the University as a lecturer before moving to Gorakhpur University. He is an Alexander von Humboldt fellow and had worked at the University of Jena, Jena, Germany. His research interests include vibrational spectroscopy of molecules of astrophysical relevance, in particular infrared emissions from polycyclic aromatic hydrocarbons (PAHs). He has about 40 publications to his credit. 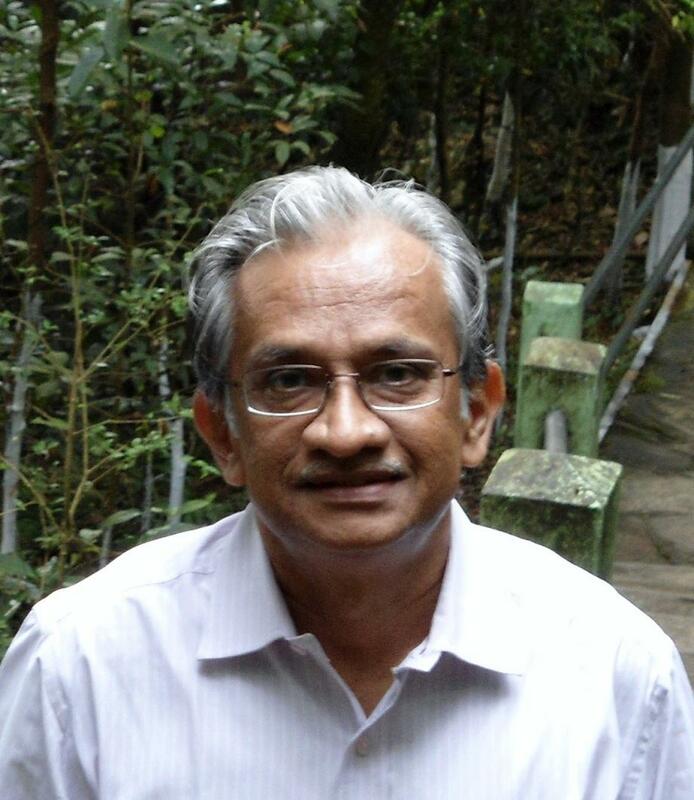 He is presently a member of the editorial board of the Bulletin of Astronomical Society of India. Interstellar medium (ISM) is the matter occupying the space between the stars in a Galaxy. The constituents of interstellar matter consist of ionized and neutral atoms, molecules and solid state particles or dust grains. This matter is the raw material responsible for star formation, the subsequent stellar evolution leads to mass loss and matter ejection by the star. The cyclical process of star formation and enrichment of the ISM contributes to the chemical evolution of the Galaxy; hence the importance of studying the ISM. The physical conditions of the space between the stars vary from very cold dense environment to hot tenuous plasma. Different electromagnetic radiations carry information of different conditions, thus multi-wavelength observations are essential in the study of ISM phases. The ISM causes extinction of the star light at different wavelength regions depending upon the physical conditions of the absorbing and/or scattering matter. A variety of molecules and solid state particles or dust grains have been discovered in the ISM and more complex molecules await detection. Especially of interest are the organic molecules that may have relevance to the life forming molecules. It is important to probe the conditions under which these constituents form and evolve. The understanding of these phenomena requires a unique conjunction of several disciplines – astronomy, solid state physics, chemistry and computations. Observational, theoretical and laboratory studies combine together to obtain a comprehensive understanding of stellar as well as chemical evolution. The recent confirmation of fullerene cation to be the source of two near-infrared diffuse interstellar bands (DIBs) is an excellent example this synergy (Nature, vol.523, 322, 16 July 2015). Identification of the source of DIBs is a century old problem and of nearly 400 DIBs these are the first to be identified. Similarly the attribution of the ubiquitous emission features in the mid-infrared region to the polycyclic aromatic hydrocarbons (PAHs; Ann. Rev. Astron. Astrophys. vol.46, 289-337, 2008) gave rise to a number of possibilities for the formation of larger complex carbonaceous molecules from smaller entities. Indeed, the recent space-based infrared spectroscopic observations do indicate presence of the buckminsterfullerene molecules (Science, vol.329, 1180, 2010). This special issue on “Constituents of Interstellar Matter” is being brought out as an attempt to provide a glimpse of the afore-mentioned phenomena highlighting the current and future excitement. Attempt has been made to incorporate articles that reflect the wide variety of explorations and techniques involved in the study of ISM. The issue starts with articles based on satellite observations using different electromagnetic windows, and then goes on with results from ground-based observations. A few articles on modelling of dust extinction are in order. These are followed by theoretical studies on molecules and the issue ends with some exciting laboratory studies. We thank all the scientists who have contributed to this special issue for their invaluable support. We also thank Mr. Venkata Raman for his help in putting together the special issue and especially for making the MS-Word templates. 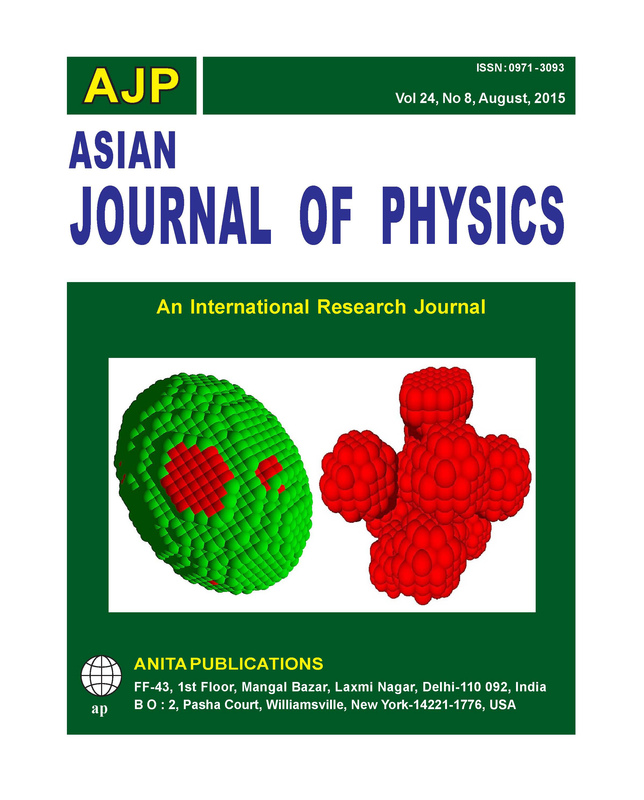 Finally we express our appreciation to Prof. Vinod Rastogi the Chief Editor of Asian Journal of Physics for providing the opportunity to edit this special issue. We congratulate him on the eve of Silver Jubilee of the journal. Louis de Broglie, more properly Louis-Victor-Pierre-Raymond, 7e duc de Broglie, extended Einstein’s work on the wave\particle duality of the photon to electrons which allowed him to deduce the allowed energy levels in the hydrogen atom and explained the assumption made by Niels Bohr that an electron orbits the nucleus in certain stable orbits whose angular momentum was quantized. Bohr’s work reproduced the well studied spectrum of the hydrogen atom. De Broglie published this work in 1923. In 1927, experimental work by Clinton Davisson and Lester Germer in the United States and George Thomson in Scotland provided solid evidence for the dual wave/particle nature of the electron and vindicated de Broglies hypothesis which many in the physics community had considered a crackpot idea . De Broglie received the 1929 Nobel Prize in Physics for this work . He became a member of the French Academy of Sciences in 1933 and served as permanent secretary for mathematical sciences from 1942 until 1975. He was also elected to membership in 18 international academies and scientific societies including the U.S. National Academy in 1947 and gained fellowship in the Royal Society in 1953. He was elected to the Académie Francaise in 1958 . He held the Grand Cross of the Légion d’Honneur . From 1928-1952, de Broglie irst worked on applications of wave mechanics to real world problems accepting the probabilistic interpretation introduced by Born, Bohr and Heisenberg although he continued to be philosophically dissatisied with it. Like Einstein, de Broglie wished to ind a classical causal explanation for quantum mechanics although he had little success in inding one before 1928 and when he and his students worked on it again beginning in 1952 . AKARI is the first Japanese satellite mission fully dedicated to infrared astronomy. It had a 70-cm diameter telescope cooled by 180-liter liquid helium assisted by onboard mechanical coolers. It was launched in 2006 February and carried out all-sky observations at 6 infrared bands from mid- to far-infrared as well as pointing observations until 2007 August when the cryogen ran out. Even after the exhaustion of cryogen, AKARI continued observations at near-infrared (NIR) (2–5 µm) thanks to the onboard mechanical cooler until 2010 February. AKARI had two instruments on board: the Far-Infrared Surveyor (FIS) observed at wavelengths from 50 to 180µm and the Infrared Camera (IRC) carried out observations from 2 to 26µm. In particular the IRC had a unique capability that provided us with high-sensitivity, low-resolution spectroscopy in the NIR. In the NIR spectral range there are a number of interesting features arising from the interstellar medium (ISM), including emission bands from aromatic-aliphatic carbonaceous material at 3.3–3.5 µm, H­­2O and CO2 ice absorption bands at 3.0 and 4.27 µm, respectively, several hydrogen recombination bands from ionized gas, fundamental vibration transitions of CO gas at around 4.6 µm, and rotational-vibrational transitions of molecular hydrogen. The IRC carried out NIR spectroscopy for a number of Galactic objects and significantly advanced our understanding of the interstellar matter. In this paper, results of AKARI observations of the ISM are summarized with a particular emphasis on the IRC NIR spectroscopy. Far-Ultraviolet Spectroscopic Explorer (FUSE) telescope has played an important role in the study of O VI. Here we present a brief review of the distribution and some of the properties of O VI in the Milky Way (MW) and in the nearby galaxies; the Large Magellanic Cloud LMC) and the Small Magellanic Cloud (SMC) as found by different FUSE observations. The distribution of O VI throughout the Galaxy and in the LMC and the SMC is patchy. O VI column density has been found to vary on a very small scale. There are variations in the O VI content of the northern hemisphere compared to the southern hemisphere of the Milky Way. Surprisingly, despite being of lower metallicity, the O VI column density in the SMC has been found to be higher compared to the Milky Way and the LMC. We report the multiband imagery with an emphasis on the X-ray emission properties of a prominent dust lane lenticular galaxy NGC 5866. X-ray emission from this galaxy is due to a diffuse component and a substantial contribution from the population of discrete X-ray binary sources. A total of 22 discrete sources have been detected within the optical D25 extent of the galaxy, few of which exhibit spatial association with the globular clusters hosted by this system. Composite spectrum of the diffuse emission from this galaxy was well constrained by a thermal plasma model plus a power law component to represent the emission from unresolved sources, while that of the discrete sources was well fitted by an absorbed power law component of photon index 1.82± 0.14. X-ray color-color plot for the resolved source was used to classify the detected sources. The cumulative X-ray luminosity function of the XRBs is well represented by a power law function of index of Γ ~ 0.82 ± 0.12. Optical imagery of NGC 5866 revealed a prominent dust lane along the optical major axis of the host with dust extinction properties similar to those of the canonical grains in the Milky Way. The dust grains responsible for the extinction of starlight in NGC 5866 are relatively smaller in size when compared with the canonical grains in the Milky Way and high energetic charged particles seems to be responsible for the modulation of the dust grain size. Spatial correspondence is evident between the dust and other phases of ISM. The column density distribution of molecular cloud can be studied through thermal continuum imaging of the cold dust, CO mapping or extinction maps. The Near Infrared Color Excess (NICE) method is an excellent tool to determine the visual extiction from measurement of NIR color excess and also to map the dust column density through star forming clouds. In the present work, the visual extinction map of a small and roundish globule CB 224 has been constructed using the NICE method. The map shows one core near to the center of the globule which is highly extincted and shows the maximum optical extinction of 17.2 magnitude. The central column density is estimated to be NH=3.4 × 1022 cm-2 mag-1. The visual extinction map is also compared with the SCUBA 850 µm continuum map which also shows one prominent core close to the center of the globule. This study shows that the visual extinction map matches well with 850µm continuum map which is quite expected as the region of higher visual extinction corresponds to higher densities of dust. During the evolution from Asymtotic Giant Branch (AGB) stars to proto-planetary nebulae, the spectral lines originating from the photosphere and outer envelopes are known to show variability owing to the sudden episodic mass loss. Spectral variability monitoring was done at Mt. Abu observatory on a sample of objects in transition from Post-AGB (PAGB) to Planetary nebulae (PNe) in order to see if there exists a correlation with evolution. The sum of the equivalent widths (EWs) of Brackett series lines show a positive correlation with the photospheric temperature; while the sum of the EWs of the first overtone band of CO show a negative correlation with the photospheric temperature. Cooler PAGB stars showed variation in the CO first overtone bands. In contrast, the hot PAGB stars showed variation in HI lines. The rate of mass loss plays a significant role in the evolution of sun-like stars beyond their main-sequence phase. The UV to far-infrared spectral energy distribution (SED) of a sample of Asymptotic Giant Branch (AGB), Post-AGB (PAGB) and Proto-Planetary Nebulae (PPNe) candidates were modeled using DUSTY code in order to estimate mass loss rate. The results of the SED modeling revealed predominantly silicate dust in AGB stars and carbonaceous dust in PAGB/PPNe stars although there are some exceptions. The opacities and dust shell temperatures of the AGB stars were found to be higher than PAGB/PPNe candidates. The PAGB mass loss rates obtained from the SED models are higher than those of the AGB stars and show a positive correlation with the mass loss index [K-12]. The circumstellar properties of five FU Ori sources that are in their outburst phase were studied by modeling their Spectral Energy Distributions (SEDs) in the UV to far-infrared wavelength range. The derived circumstellar parameters showed marked differences between the sources. Our model results show that in the case of young stellar objects (YSO) FU Ori, V1515 Cyg and V1057 Cyg the circumstellar emission is accounted for by both disk and envelope as compared to Z CMa and V1313 Cyg in which the envelope contribution is found to be insignificant. We infer from this that Z CMa and V1313 Cyg are likely more evolved sources than the others studied here. Interstellar dust, dispersed particles between the stars, is an important component of the interstellar medium. Though, the gas to dust ratio is 100:1, dust plays a significant role in influencing the physical and chemical properties of the interstellar medium. Hence, it is very important to study its nature; viz. size, shape and composition. Unfortunately, in spite of last several years' research, still, the composition of the interstellar dust is not completely known. Any viable grain model should be able to explain the observed properties; interstellar extinction, interstellar polarizationion and infrared emission. The dust model should also be consistent with the interstellar elemental abundances. We present a composite grain model which is consistent with the observed interstellar extinction and the elemental abundances. Light Scattering of dust (of various types) is an important probe to understand the composition, size, shape etc of the dust. Several light scattering models are now available to study the properties of dust which provide ways to understand the observed phenomena viz. extinction, polarization etc in the area of astrophysics, atmospheric, life sciences and other applications. This paper reviews the relevant models which are now increasingly used in these applications but the primary focus will be for astrophysical situations. The electromagnetic radiation emitted by a star arrives at the earth after interacting with the components of the interstellar medium and carries with it information about the character of intervening medium constituents including dust grains. Multiple models of dust, which can fit observations of extinction, emission, polarization and abundance constraints in the microwave to the far ultraviolet wavelength regions, have been constructed. At higher frequencies, grains can also be studied by examining halos formed around X-ray emitting stars. The analysis of halo surface brightness has potential of constraining dust models further. At X-ray wavelengths, the character of scattering by grains changes considerably in comparison to visible and ultraviolet wavelengths. The accuracy of methods for calculating the differential scattering cross-sections therefore needs to be reassessed in this wavelength region. Here, we present a survey of the progress made in this direction and the role X-ray halo analysis has played in dust characterization. Apart from the size of the dust grains in the interstellar medium, their shape too can cause different scattering and absorption efficiencies. The grains in space could also be a composite formed from different materials. The scattering and absorption for each material is different depending on their dielectric constant or refractive index. Effective medium theory (EMT) is used to obtain an effective dielectric constant that replaces the consideration of different materials in a particular grain, thus reducing the computational effort. The dependence of EMT on the shape of the dust grain is studied in the present work. The grains are considered to be composed of 20% carbon and 80% silicate clustered into compact or loose non-spherical shapes. Various extinction efficiencies in the visible electromagnetic spectrum are computed and compared with other methods. Hydrogen molecule is the most abundant element in the interstellar medium and also main precursor of almost all organic molecules. Its deuterated forms HD, D2 are also significantly abundant in ISM. Study of the deuterium fractionation is highly attracting because of its applicability for measuring various physical aspects for different astrophysical sources. Thus it is essential to know the deuterium fractionation of the most simplest and abundant interstellar molecule, H2. Interstellar grains acts as a catalyst for the formation of various species. As the formation of these molecules on the grain surface is totally a random phenomenon, Monte Carlo method would be the best suited method in this case because it preserves the randomness. In this paper, we carried out Monte Carlo simulation to study the formation of H2, D2 and HD on the interstellar grains. Various experimental results are implemented in our model to mimic the exact interstellar scenario. A number of cases have been presented to understand the dependency on formation of these species upon various relevant parameters. The ubiquitous mid-infrared emission features, prominently obtained at 3030, 1613, 1299, 1163, 893 and 787 cm-1 (3.3, 6.2, 7.7, 8.6, 11.2 and 12.7 mm) generally match the vibrational modes of aromatic hydrocarbons. The composite spectra of mixtures of polycyclic aromatic hydrocarbon (PAH) molecules have been shown to match well with the observational features. Closer inspection and source to source variations in peak positions and line shapes however create complications. Various size and ionization states of PAHs need to be considered and this can vary for different sources. Thus the study of infrared spectra of PAHs gains significance for not only understanding the composition of the spectral source but also for giving insight into the physical and chemical evolution of the source. Studies show that more ionized and midsized PAHs seem possible in hot star forming regions and larger PAHs in benign regions of late type stars. Further there is problem in simultaneous fitting of all the bands, originating along a definite sightline, by the same set of PAHs. In particular, for the 6.2 mm feature, most of the plain PAH combinations do not give a good fit. In order to address this issue and to understand other spectral properties, substituted PAHs are studied. PAHs having vinyl or phenyl as side group attachments are considered and their infrared spectra reported. Various PAHs are considered with the side group substitution at different positions. The spectral variations are studied and the possibility of including small compact substituted PAHs to improve models is discussed. Polycyclic Aromatic Hydrocarbon (PAH) molecules have been identified as carriers of the interstellar emission features lying in the 3-20 µm wavelength range. Detection of these bands towards several diverse astrophysical sources and an observed variation in intensity ratios has attracted high quality experimental and theoretical analysis of PAHs in order to recognize the precise form(s) present in the interstellar medium of Milky Way and external galaxies. In this short review, several experimental and theoretical studies carried out on probable interstellar PAH candidates have been visited. It is emphasized that a significant fraction of interstellar PAHs might not be pure hydrocarbons and will have a deuterium or metal substitution. Implications to the diffuse interstellar band problem have been cited. We have carried out synthetic experiment of nitrogen-containing carbonaceous composites (NCCs) by exposing C60 to nitrogen plasma via microwave discharge method at 2.45 GHz. Infrared spectra of NCCs produced from C60 exhibit broad features at 6.3 and ~8 mm, which are similar to the “Class C” unidentified infrared (UIR) band. Based on the results of X-ray photoelectron spectroscopy (XPS) and N/C elemental ratio measurements of NCCs, we have concluded that the ~8 mm feature is likely to be due to aromatic C-N stretching mode. Cold dust grains are tiny chemical reactors in which new molecules are synthesized. Understanding such processes that are responsible for the synthesis of such molecules are quite complicated and therefore require laboratory experiments that simulate various processes that these cold chemical reactors are subjected to. Here we discuss the various experimental facilities that are available, and the methodology employed, in different laboratories to understand the chemistry that can occur on cold dust grains.